Some of the founders of the CORD group, which established itself as a voice in Carroll Gardens development issues after it coalesced around the controversial 360 Smith Street building, will be on News 12 this evening. 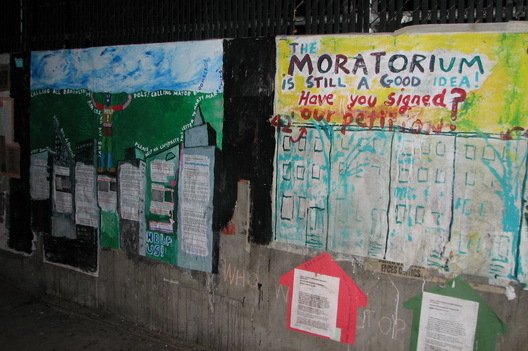 Group members were interviewed at the Carroll Gardens Democracy Wall in the plaza at the Carroll Street subway stop. The report will include the role the space we named the Democracy Wall has played in getting messages out in the community. It's actually the second News 12 segment on the wall and 360 Smith Street development. The tentative first air time for the segment is 5:30PM.